Form a living wall with your new fragrant Leyland Cypress Trees. Leyland Cypresses have thick foliage, that can block out roads and neighbors, which makes it a popular choice for privacy screens and windbreaks. Its foliage is also feathery and soft, giving you a delicate texture. Pretty when planted in groupings. A rapid grower (3-4 feet per year) that can be easily maintained to your desired height through minimal pruning. Very easy to trim. 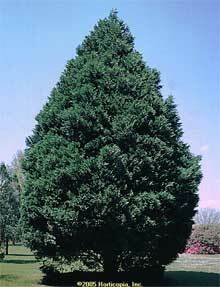 Matures to a majestic pyramidal shape grows great in Growing Zones 6-10. Grows in all southern states! Leyland Cypress trees are always in high demand because they are fast growers and are very adaptable to a variety of soils and conditions. Drought tolerant, and grows well in the sun or shade! 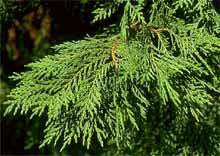 This evergreen keeps its soft, attractive foliage stays green all year, giving you a great barrier tree 12 months out of the year.